MTD Products market the Rover and Cub Cadet brands of lawn mowers, ride-on mowers and power garden equipment. A branding workshop helped develop a strong branding strategy and creative direction for the Rover brand. We produced a highly successful TVC, re-designed the Rover website, produced 7 product category videos and provided the 360º product photography. The Rover brand now a unique personality strategically targeted to it's key demographic market. is. advertising are proud to announce our recent success at the 2016 Australasian Catalogue Awards. Winning the ultimate award in the Home category for our production of the Home Timber & Hardware Outdoor Furniture Catalogue. 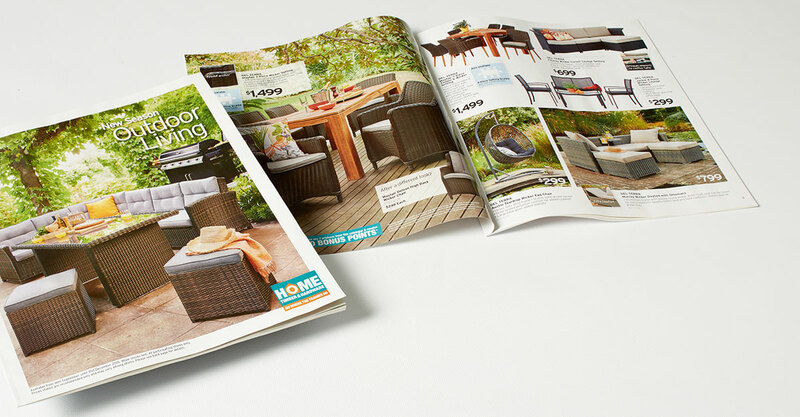 Outdoor Living retail catalogue for over 10 years. Our project management skills and years of experience that encompass the creative, location search, logistics, styling, art direction, photography and image enhancement mean we can achieve high quality results and still meet our clients budget expectations. This popular furniture and homewares retailer has more than 40 stores throughout Australia and New Zealand. 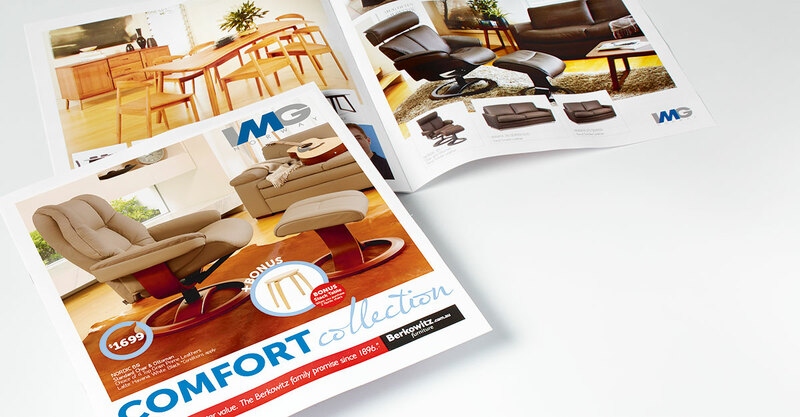 We were invited to help transform the brand image through a refreshing new design layout across both retail catalogue and lifestyle magazine inserts and advertisements. At the core of this refresh was a series of studio and location shoots that were stylized, directed and photographed by our team. The result was a collection of inspirational images that were used across a range of media including catalogues, advertisements, website, social media and TV. As an extension we also create and produce their national and regional TV commercials. 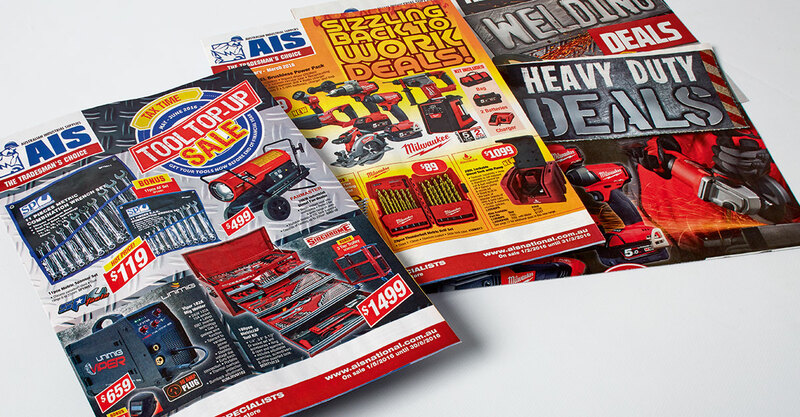 AIS (Australian Industrial Supplies) is a marketing and buying group with around 100 stores nationally. They are the go-to for the serious DIYers, tradesmen including manufacturing and mining companies who are looking for quality tools and equipment from the leading industrial brands. We worked closely with AIS for around 4 years and design and produce their quarterly catalogue including flyers, POS and low budget TVC and radio. Murray Goulburn Trading is a cooperative with 25 stores in the Victorian south-east and Tasmainian dairy regions. They offer a wide range of farming products and services to rural customers, in particular their dairy farm members. 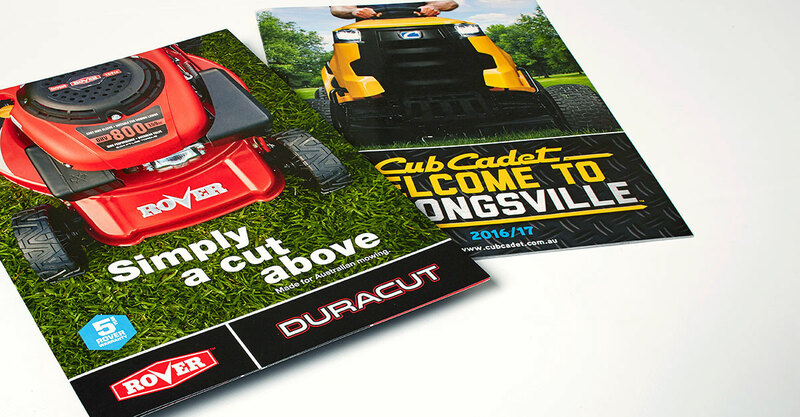 We became part of their team in 2015 and have since redesigned and produced a range of marketing collateral including the production and logistics for their annual Blue Tag promotion. 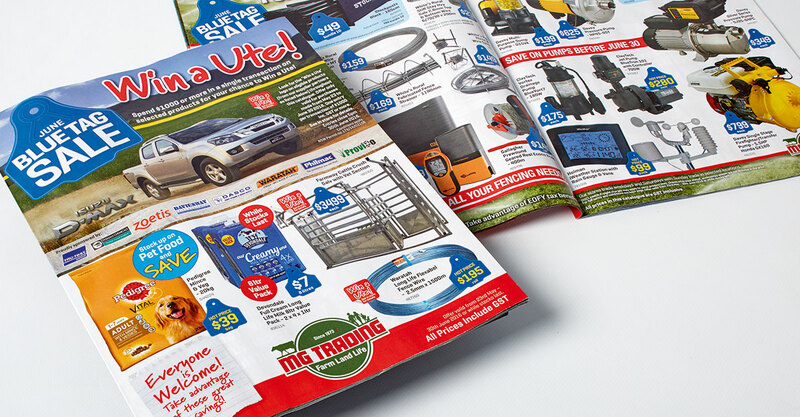 This included a 28 page retail catalogue and promotional POS pack that created maximum impact at store level. 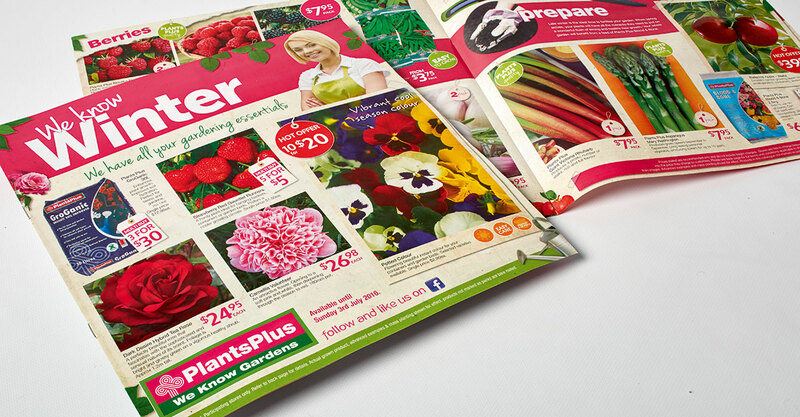 We have been in partnership with Plants Plus garden centres for over 10 years. we have continued to evolve the brand to adapt to market trends. as well as POS, B2B communications, EDMs, TVCs and more. 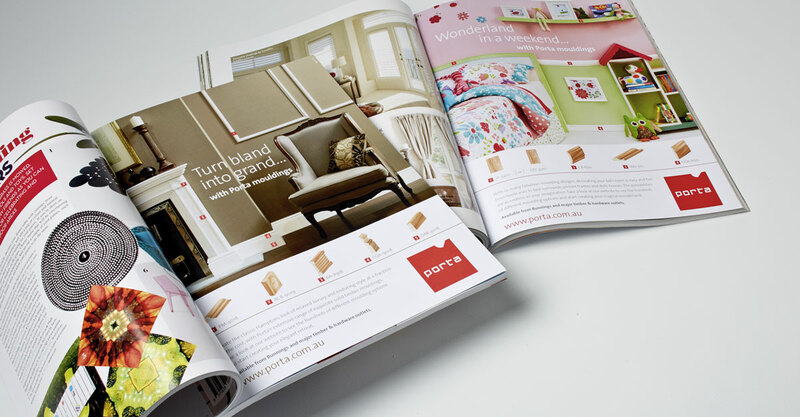 Porta Mouldings required an impactful advertising campaign to showcase their products. Our team's concept and design led to the in house studio photography and styling of 5 memorable sets. The creative team then added a flair to these images to provide an advertising campaign featured in magazines such as Home Beautiful, Inside Out and Modern Home. We continue to work with Porta Mouldings on a variety of digital and print projects. our team produced some wonderful images for luxury Scandinavian furniture designers, IMG Norway. 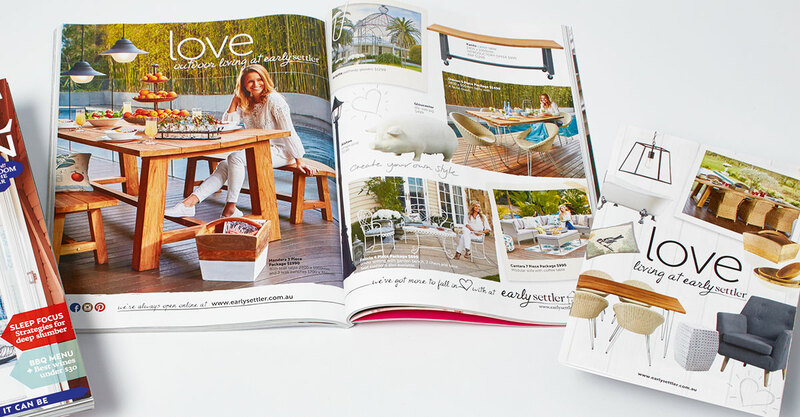 eye catching catalogue for Australia-wide distribution to high-end retailers. IMG Norway were so happy with the result that they continue to use our services for creation and production of edms, tvcs and further advertising campaigns. is.advertising has long standing relationships with clients within the retail, consumer and wholesale sectors. Our partnerships are with clients such as; Home Hardware, House, Party Shop, AIS (Australian Industrial Supplies), Ishka, Paul Mason Suits, Anthony Squires Menswear, Rhima, Murray Goulburn Trading, Cigweld and Early Settler. If you would like to see more of our work, please contact us and ‘connect’ with us. If you would like to see more of our work, click ‘connect’ and contact us. It takes a connection to start any good relationship, connect with us and find out how.